Igor graduated in Diploma of Remedial Massage and Cert IV Fitness in 2011 from the Australian Institute of Applied Sciences in Brisbane. Also, he has a Bachelor degree as a Physiotherapist in Brazil/2007 with plenty work experience in Sports Injuries. Igor was part of the Physio’s team integrated the Pan-American National Team of Handball hosted in Sao Carlos/Brazil 2008 and States’s Games in Sao Paulo from 2006-2008. He has spent a lot of time treating high performance athletes with acute and chronic neck, shoulder and back problems as well as tradies and clients from various walks of life. 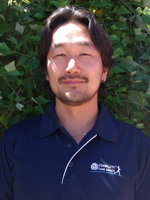 Igor’s treatment techniques include myofascial release, soft tissue and deep tissue techniques, trigger point therapy, neuromuscular techniques, manual mobilisation techniques, postural alignment based in muscles chain and postural adjustments. Igor combines his international experience with his professional knowledge to deliver treatments that work to achieve your health goals as fast as possible. He particularly likes to treat clients with tough cases and has a reputation for being able to make the corrective improvements. In Sports, he plays social soccer but he loves water sports as swimming, water polo, surfing and now learning kitesurfing. As he was a professional swimmer with some Nationals and States championships medals and was part of the team that won two titles of water polo amateur’s state championship to the University. Call or email today to make an appointment with our massage therapists in Perth.